Chips and sandwich go well together! 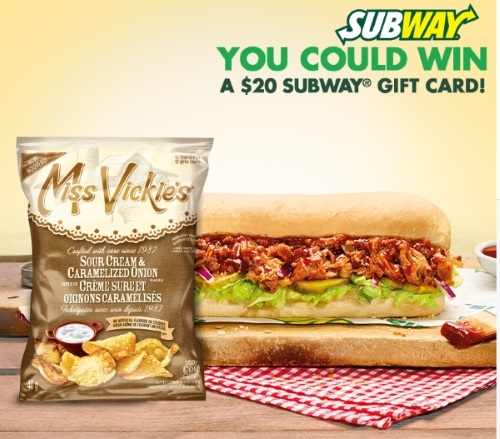 Miss Vickies has teamed up with Subway to give away a $250 Subway gift card in this latest contest! To enter, share your favourite sandwich and chips combination in a comment at the link below for your chance to win. There will be 100 winners chosen!